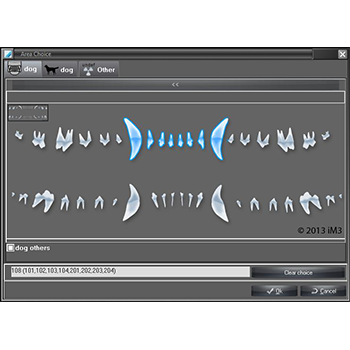 The CR7 VET provides unsurpassed high-resolution dental images, fast processing time, user friendly software, and the largest range of reusable flexible plate sizes for dental and small animal extremity applications. 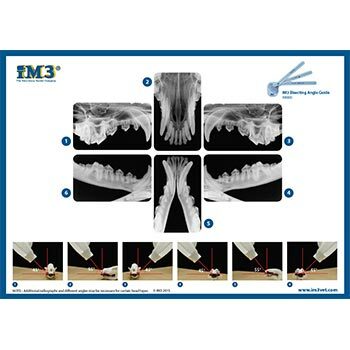 Achieve a full mouth series in a medium to large size dog with just 6 X-ray’s using the iM3 designed size 5 image plate. The Revolution 4DC Dental X-ray generator features the latest technology. The hand-held PORT-X ll provides total portability combined with the latest digital technology. Ideal for both dental and extremity radiographs. I have used many digital X-ray sensors in the past, but for the past five years, I have exclusively used the CR7 unit for all of my dental cases. It is still going strong, even after many years of service. I would highly recommend the CR7 for its image quality, the range of plate sizes and the ease of using the software, as well as iM3's excellent service. 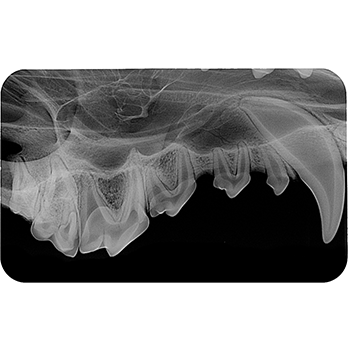 The variety of plate sizes allows me to take dental radiographs of a kitten's mouth all the way up to a Newfoundland's back molar tooth. This versatility is currently not available with any other unit in the veterinary market.